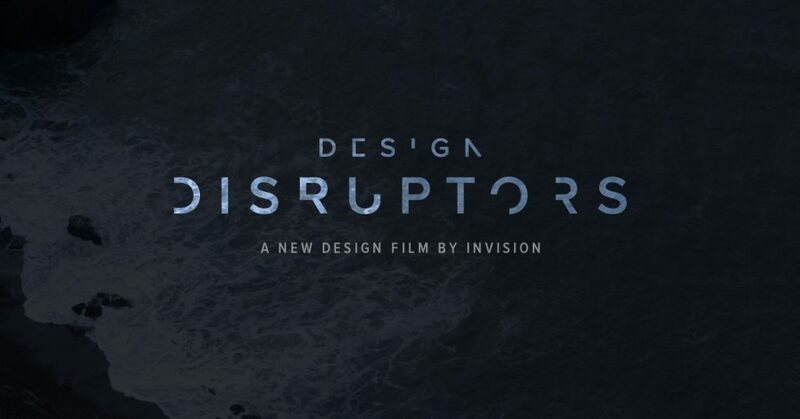 Earlier in the summer, InVision’s full-length documentary, Design Disruptors, captivated the design world. Last month, I had the opportunity to watch the documentary and was blown away by the dedication and passion that designers have for their craft. In it, they highlight the work of designers and teams from “disruptive” companies such as Google, Twitter, Facebook, Dropbox, Airbnb, Netflix and many more and show the impact of positioning design in the center of business. Here are eight takeaways from the film that impacted my point of view as a designer. The difference between art and design is that art asks questions while design solves problems. It’s okay when art isn’t understandable. On the other hand, design must make sense to users and be intuitive. This struck a chord with me because I’ve always considered both artists and designers to be creative. I never thought about them as two completely different expressions of creativity. Unlike art, design is remarkable for its ability to turn questions into solutions. Because ultimately, designers have to be problem solvers at the core. Now, more than ever, it’s becoming important to design cultural-specific solutions to address diverse needs. Facebook aims to understand their users that come from emerging markets so they simulate slow internet speed, internally referred to 2G Tuesdays. This helps them to understand their users’ frustrations and pain points on a deeper level so they can design experiences that are just as delightful for users on 4G internet. The amount of diversity that this world packs is a beautiful platform of opportunities in design. It’s about time that companies and people recognize this. When looking at where design fits into the world today, it’s apparent that we’ve really only scratched the surface. Personally, I dream of a day when the user experience of time tracking software is phenomenal that attorneys refuse to pass on this task to paralegals because using it brings them tremendous joy. There are still many products out there with terrible UX, but more importantly, there are many markets that have yet to embrace design driven entrepreneurial business models. We need to begin disrupting those markets. Our responsibility as designers is not necessarily to create the future. We can recommend a path but it is ultimately up to users to decide the future. When this discussion was happening in the film, I thought the innovative ways that users took a product and did things that were unintended by designers. For example, Amazon is a popular e-commerce site but it is heavily used by academics to identify relevant resources for research. Users deciding the future and how they build relationships with their produces is profoundly powerful. UX designers are all about leveraging that power for users. Committing to a design-centered entrepreneurial mindset means that you and your products are in a committed, long-term relationship. This is especially true for in-house designers. There is a huge misconception that an app or a website is something that you create and finish and put it “out there” for the world to see. Now, I understand that these are products that both users and designers need to be interacting with on a constant basis. Designers need to take iterative approaches to their work to create products that are not only better than their predecessors but also relevant to the present moment. Designers are beginning to play pivotal roles in various aspects of the business, including decision making. And if they’re still not part of those executive meetings? Then pull up a chair and listen. Design should permeate all aspects of the business. With that in mind, designers should have a genuine interest in the business. We need to understand how to strategically position ourselves to produce the best results for both users and the business involved. This also requires us to understand the business within the context of users and their world. I love the idea of embracing failure as part of the design process. In fact, it’s encouraged because when designers fail fast and fail often, the end product is almost always significantly better. Behind an amazing product lies an uncountable number of failures. Failing encourages creativity and fearlessness. Innovation is at the forefront of design. Failing early is also great for businesses because it’s a cheaper investment. If mistakes come up later on in the design process when substantial time and money has been invested, that would be a bigger loss for the company. Design is powerful. We live in a generation where that is no longer a question. But now, designers are asking how to use this powerful tool to solve meaningful problems. There are still many untouched markets but more importantly, there are people that are struggling with problems around the world. I don’t think that as designers, we can say our job is complete until those problems have been tackled and people are experiencing superior quality of life. We really need to expand our understanding of the world around us because the ability to solve all those problems can be done with design. Throughout the film, I found myself asking a thousand questions on the implications of design in our culture and where we’re headed with it. What made this documentary exceptional and successful is that the focus was really on design. InVision used their platform and resources to show others the profound impact of design. They wanted to represent the voices of designers who have stories to tell. Designers are often misunderstood and seen as luxuries within companies. This documentary went out to prove, however, that design must be strategically embedded into a business in order to innovate and accomplish big things.